Last year, the country’s smallest state took a step towards helping the United States address a hole in its workplace policies: lack of paid family leave. Since January 2014, employees in Rhode Island have been able to take up to four weeks of paid leave to bond with a newborn, newly adopted, or foster child, or to care for an ill loved one through the state’s Temporary Caregiver Insurance. TCI is fully funded by workers and applies to all employees regardless of the size of their workplace. Employers cannot fire or retaliate against employees who take the time off. The United States lags far behind other advanced industrial nations in providing paid leave to new mothers and fathers. 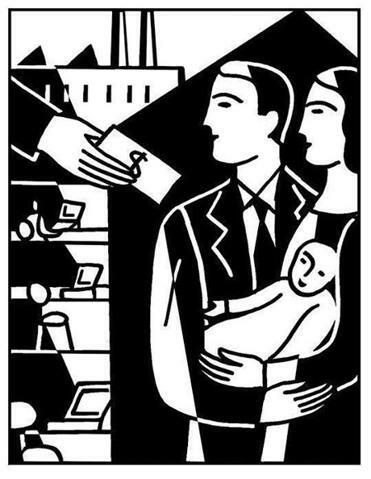 The federal Family and Medical Leave Act, or FMLA, offers 12 weeks of unpaid leave to new parents employed by certain kinds of businesses. Even among those covered, most can’t afford unpaid time off. In the more than 20 years since passage of the FMLA, only a tiny fraction of new fathers have used it. That’s because going without a father’s income — for even a few weeks — is a financial hardship for most families. Moreover, being a good father has traditionally meant providing for your family by working. Eileen Appelbaum is senior economist at the Center for Economic and Policy Research and coauthor of “Unfinished Business: Paid Family Leave in California and the Future of Work-Family Policy.” Gayle Goldin is a Rhode Island state senator who in 2013 championed passage of Temporary Caregiver Insurance.